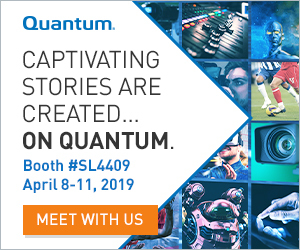 Catch up on all NAB Show 2019 News! 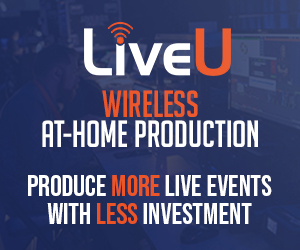 Have NAB Show Las Vegas 2019 News? Post it now. JVC Professional Video, a division of JVCKENWOOD USA Corporation, will introduce two new 31-inch UHD/4K LCD monitors to support today’s growing 4K workflows at the 2018 NAB Show New York (Booth N333), which runs Oct. 17-18 at the Jacob K. Javits Center in New York City. Ideal for critical video applications in the studio and on location, the affordable monitors feature 10-bit panels and 14-bit color processing to ensure high quality image processing and display. The DT-U31, previewed earlier this year at the 2018 NAB Show, offers UHD (3840x2160) resolution, while the DT-U31PRO offers full DCI 4K (4096x2160) native resolution. 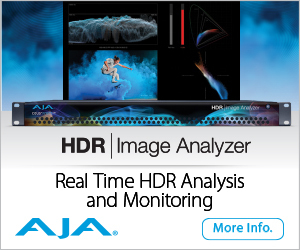 Both monitors support HDR functions, including Hybrid Log Gamma (HLG) and PQ-3 formats, and a range of camera log LUTs including S-Log, C-Log, and JVC’s J-Log. Color gamut support includes BT709 and BT2020, with auto calibration possible via an external X-Rite sensor probe. Calibration can be performed directly from the front-panel USB connection, so the monitor does not need to be removed from its installation. A new zero latency image processing mode creates minimal delay, which is ideal for lip sync monitoring. Both monitors include 12G SDI or quad 3G HD-SDI input, as well as HDMI 2.0 and HDCP 2.2 for 4K input support. Users can also display four independent SDI sources in quad view mode for broadcast monitoring applications, and additional connectivity options are available for legacy sources. Other features include convenient front panel controls with dual speakers, AC/DC power with integrated battery port, and on-screen tools including tally and 16-channel audio meters, waveform monitor, vectorscope with line selector, and histogram. The new DT U models also include an expansion slot for future options, including a fiber-to-SFP adapter. The DT-U31 is priced at $4,995 will be available in November, while the DT U31PRO will be priced at $8,495 and be available in early 2019. Headquartered in Wayne, New Jersey, JVC Professional Video is a division of JVCKENWOOD USA Corporation, a wholly-owned subsidiary of JVCKENWOOD Corporation. The company is a leading manufacturer and distributor of broadcast and professional video equipment, as well as D-ILA front projection systems. For more information, visit JVC’s website at pro.jvc.com or call (800) 582 5825.